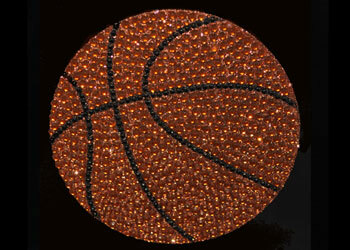 Basketball window bling rhinestone sticker for your car or anywhere you want to stick it! 3.5x3.5" diameter Basketeball Window Sticker! Bling for your car, show your pride. Click here to view our Large Basketball Pendant Charm or our Small Basketball Pendant Charm.